We’ve heard rumors that Google would merge Android and Chrome OS for a few years, though the rumored “Andromeda” never came to be. While the two operating systems never merged, we have seen them borrow ideas from each other. Android Nougat‘s seamless update feature is basically ripped straight from Chrome OS. 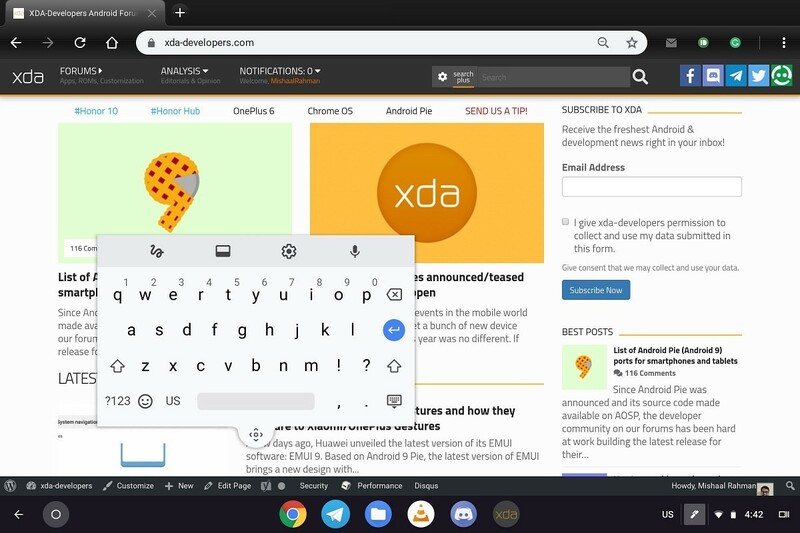 We’ve seen how Chrome OS has gained many features aimed at making the experience better for tablets and detachables in the wake of the demise of Android tablets. Even though the first Chromebook tablet and detachable have already released, Chrome OS just isn’t ready for these form factors. 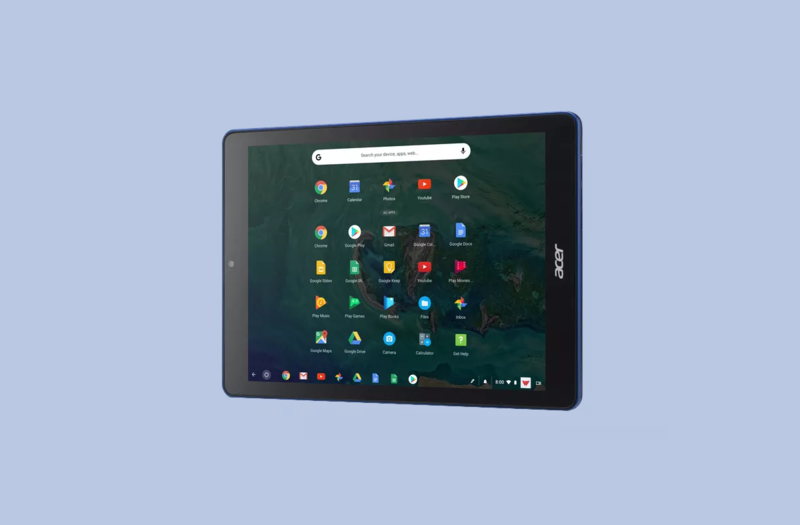 But that’s going to change in Chrome OS 70 as Google plans to ship all of their tablet features for the upcoming release. Earlier today, Google rolled out Chrome 69 for all platforms. It features a Material Theme redesign, better autofill/password management, and a smarter Omnibox. Chrome OS 69 is expected to hit the stable channel next week and will finally bring Linux app support to many Chromebooks along with the new design. 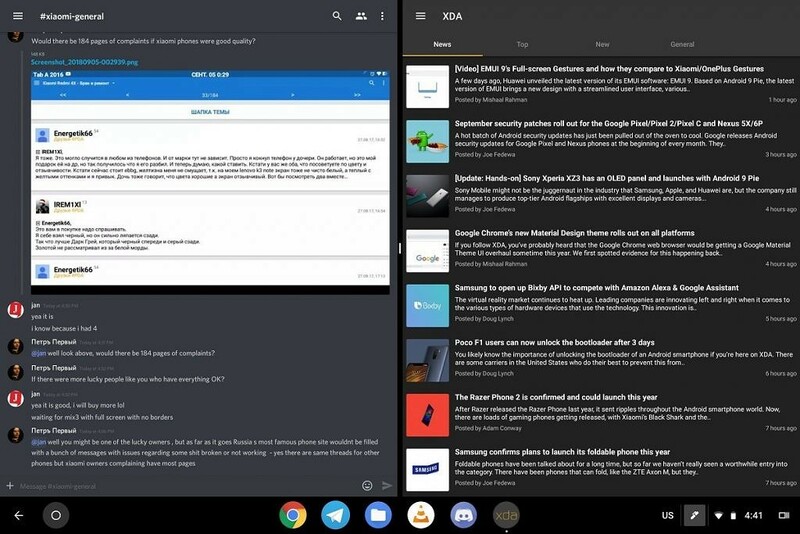 But the version after that, which is expected to reach the stable channel on October 23rd, will introduce many tablet-specific features that are currently in testing in the Dev and Canary channels. A Googler on the Chromium Gerrit said that “the plan is to ship all tablet features together in M70.” The linked commit from which we quoted the message is meant to disable the new wallpaper picker because Google doesn’t want it to be included in next week’s release. 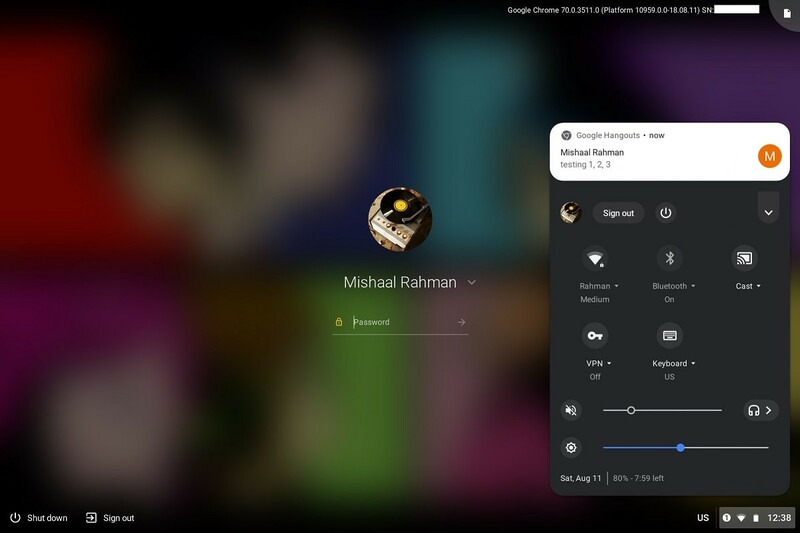 Instead, the feature will be enabled along with the other tablet-centric features in Chrome OS 70. If you’re on the Dev or Canary channels, then you’ll have already noticed many changes that seem to be specific for tablets. 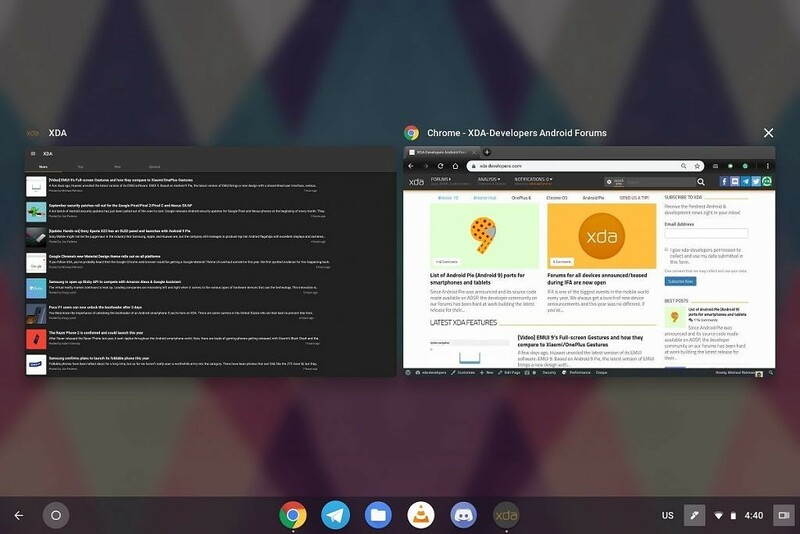 Most people don’t install unstable versions of Chrome OS, so for them, they’ve been missing out on all of the great new features. There are only two devices where the OS’ lack of decent tablet features really sours the experience: the Acer Chromebook Tab 10 and the HP Chromebook X2. When the new version of Google’s OS rolls out, the user experience on these two devices should improve greatly. By the time the “cheza” and “nocturne” detachables launch, we expect the new tablet experience to already be available. Now that we know when to expect Google’s major UI/UX overhaul for tablets, let’s go over the features Google has added to make the experience better for tablets. Before the latest Material Theme overhaul for Chrome, using touch input to interact with Chrome was awful. The buttons were simply too small to comfortably tap on. With the new design, the buttons are much larger than before. 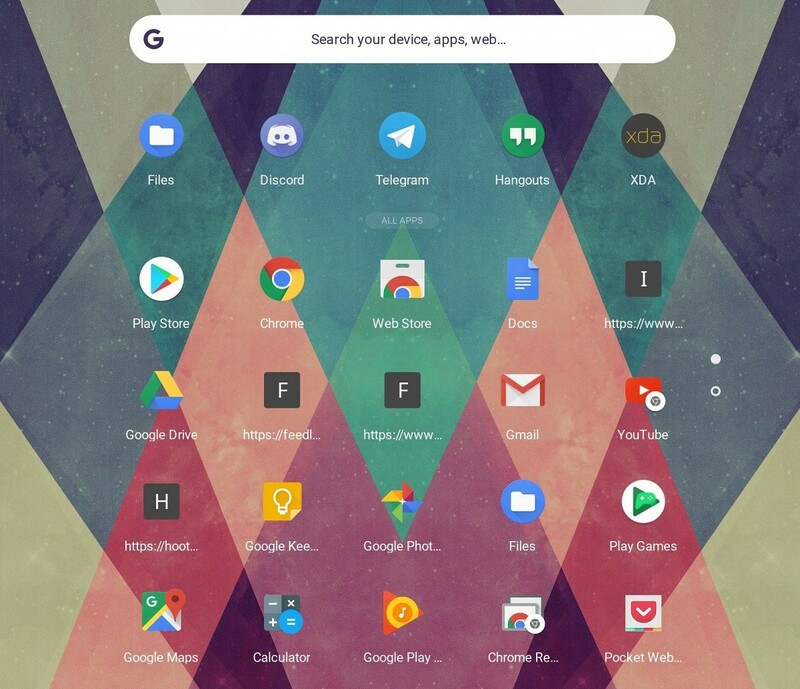 In tablet mode, the launcher becomes full screen. You can swipe up and down to access your apps in the list. You can long-press on an app to launch an app shortcut. At the top, you’ll have quick access to the Omnibox. Google Assistant integration isn’t here yet, but judging by the progress made in the Chromium Gerrit, it’s definitely getting closer to launch on non-Pixelbook devices. 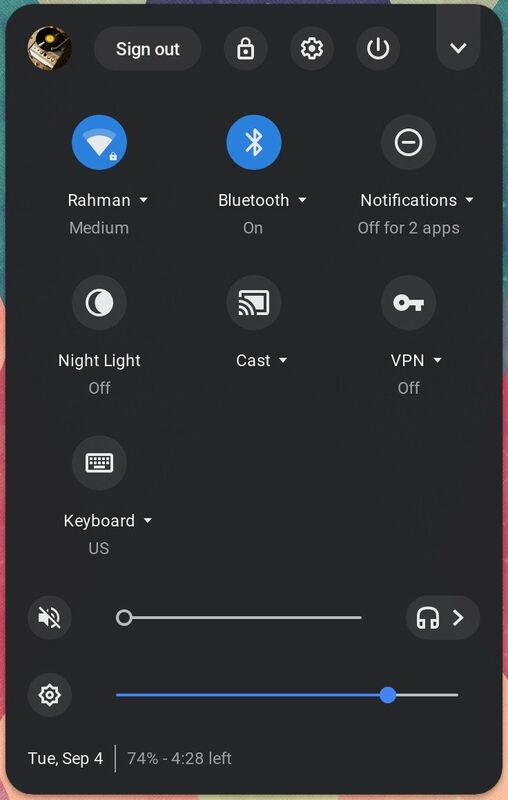 As we mentioned before, the system tray gets a new design with large, circular icons reminiscent of Android Pie. 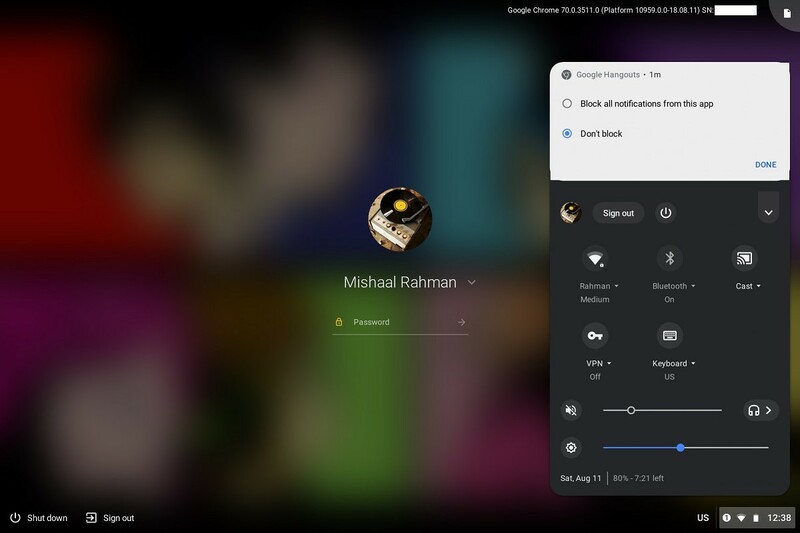 Google is testing a centered app shelf, but it’s unclear if this feature will make its way to the stable release of Chrome OS 70. Options for shelf alignment and auto-hide will be great for adjusting how far you need to reach and how much screen real estate you’ll have respectively. The overview screen gets a few usability improvements. For instance, you can view Android apps side-by-side. You can also swipe up on an app card in the overview screen to dismiss the app. You can swipe down from a full-screen app to enter the overview screen. Overall, it’s much more touchscreen friendly. The default software keyboard recently added a floating mode which is nice if you need to enter something without obscuring other text. We’re supposed to get support for Android IMEs like Gboard, but I don’t think that feature will land in version 70. I’ve been keeping track of the progress on Android IME integration and will let you know when it becomes available, though. Lastly, the lock screen, which already supports taking notes in Google Keep, should be getting support for lock screen notifications with snooze support and in-line replies. 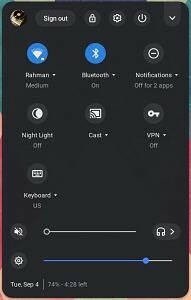 For a tablet, viewing and interacting with your notifications from the lock screen is certainly more convenient than unlocking the device each time. There are lots of other small features that’ll improve the Chromebook tablet/detachable experience. For instance, a new Bluetooth stack will improve Bluetooth connectivity. 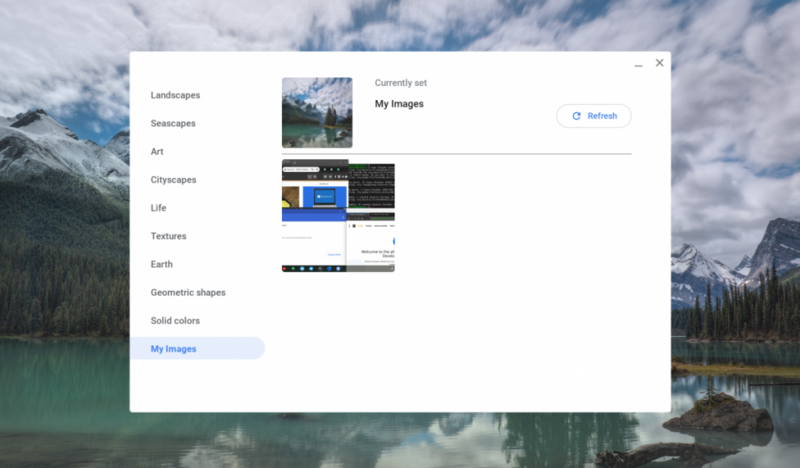 The Chromebook Files app is getting a major revamp to better organize Android and Linux apps. Smoother scrolling is coming to touchscreen Chromebooks in tablet mode. These are just a few of the new features we’ve found in recent months. You can view a timeline of articles we’ve written that show the kinds of features Google has been adding to improve the tablet experience. Note that many of these features have already gone live in the latest builds, so you’ve probably already used some of these features. Editor-in-chief on the XDA-Developers Portal. I have a keen interest in the Android framework and software development, but I'm willing to dip my toes into a variety of subjects. Please direct media inquiries to [email protected] You can also find me on Twitter @MishaalRahman, or on Reddit at /u/MishaalRahman.